Fab Friday: Win a Free Seat in our Editing 101 Workshop! UPDATE: The winners have been chosen! Go here to see who won! It's Fab Friday and we have something super fabulous in store for you! 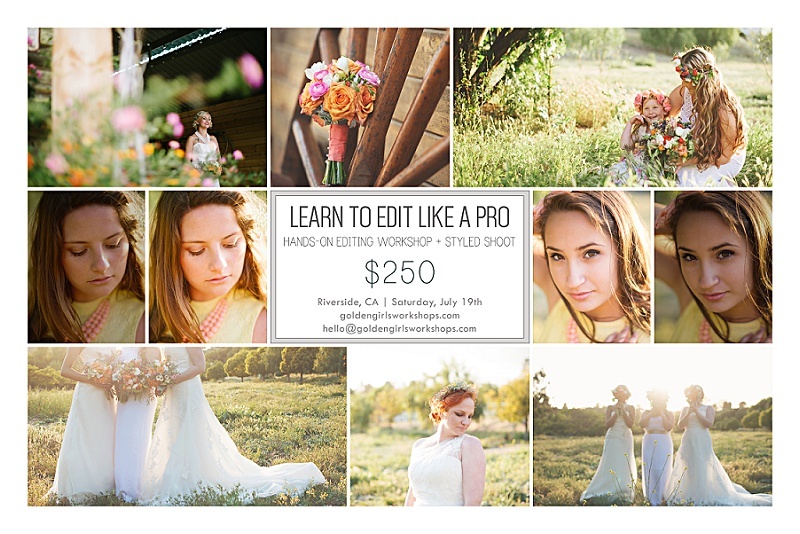 Our Editing 101 Workshop is only a few weeks away and we know you all are super excited to learn to edit like a pro! Well, today we are going to give you the chance to win a FREE seat to this workshop! And because you're all so sweet, our good friend Axiza of Cakes by Dee fame has also agreed to give one lucky person a free 6" cake! Entering is super easy. Click that LIKE button a few times, SHARE this blog post on Facebook (and whatever other social media sites you want!) and voila! You are entered to win! The more you share the better your chances! Be sure to enter the contest as many times as you can and try to win that FREE seat! But if you don't believe in luck, you can sign up here and guarantee yourself a seat! If you have a question about the Editing 101 Workshop or any other upcoming Golden Girls events, please send it to hello@goldengirlsworkshops.com!